The “KnitCrete” technology is being developed at ETH Zurich by the Block Research Group in collaboration with the Chair for Physical Chemistry of Building Materials, as part of the Swiss National Centre of Competence in Research (NCCR) in Digital Fabrication. “KnitCrete” formworks use a custom, 3D-knitted, technical textile as a lightweight, stay-in-place shuttering, coated with a special cement paste to create a rigid mold, and supported by additional falsework elements such as a tensioned cable-net or bending-active splines. 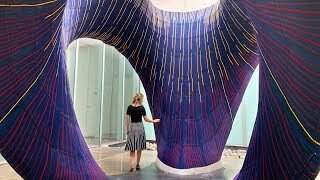 Compared to conventional weaving, knitting minimizes the need for cutting patterns to create spatial surfaces, allows for the directional variation of material properties, and simplifies the integration of channels and openings. 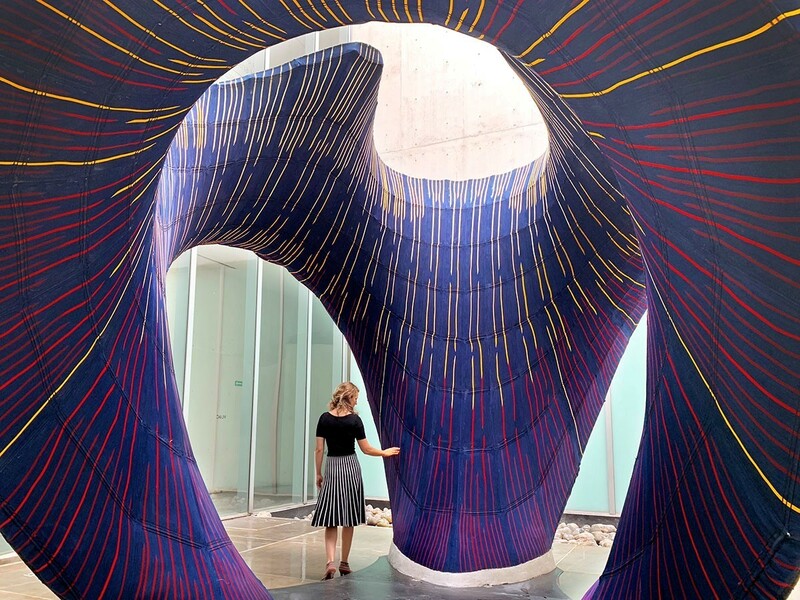 The soft, colorful textile interior of “KnitCandela’s” shell and its hard, concrete exterior is visible from all viewing angles. The textile’s striped pattern expresses the knitting fabrication process and the radial symmetry of the shape – inspired by the colorful and fluid forms of traditional Mexican Jalisco dresses. The hybrid and ultra-lightweight “KnitCrete” formworks are easily transportable, reduce the need for additional supporting structures and scaffolding, and simplify the logistics on the construction site. 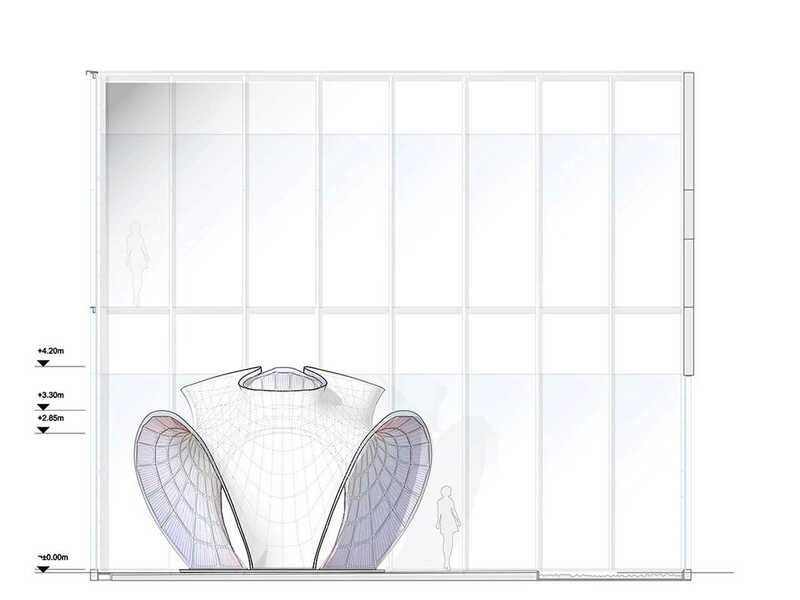 The patterning, along with the simultaneous visibility of the soft interior and the hard exterior of the shell enhances the visitor’s spatial experience and the curvatures of the “KnitCandela’s” form. 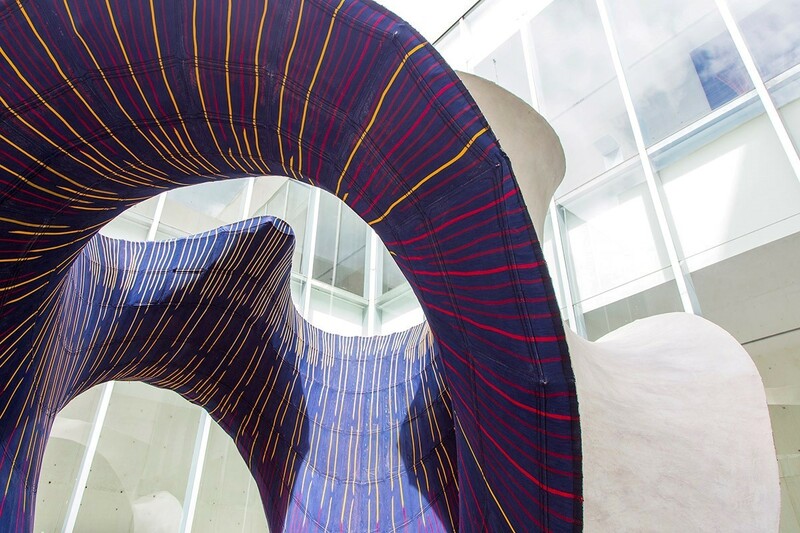 Designed for a tight construction schedule, restricted space and minimal budget, “KnitCandela” demonstrates the rapid evolution and adaptation of digital design and fabrication to the challenges faced by the construction industry. 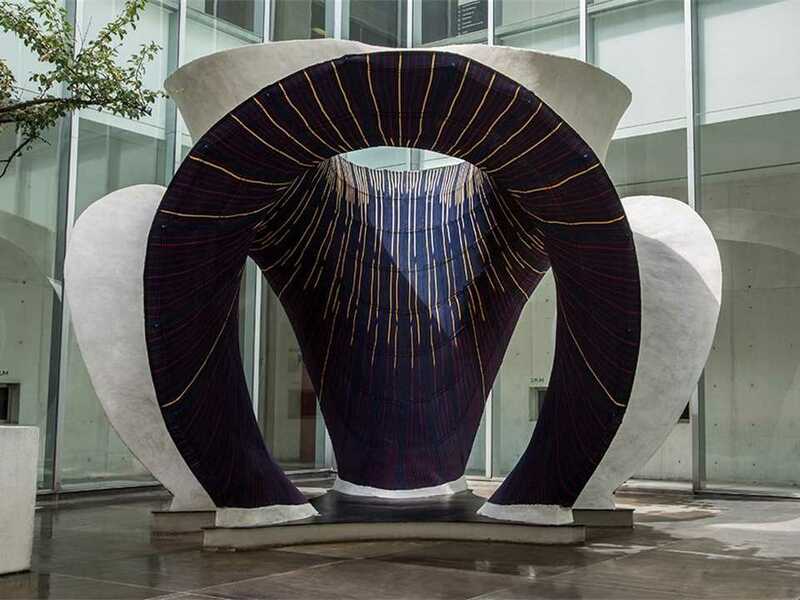 As homage to Spanish-Mexican architect and engineer Félix Candela, the Block Research Group of ETH Zurich and Zaha Hadid Architects designed an experimental structure called “KnitCandela”. 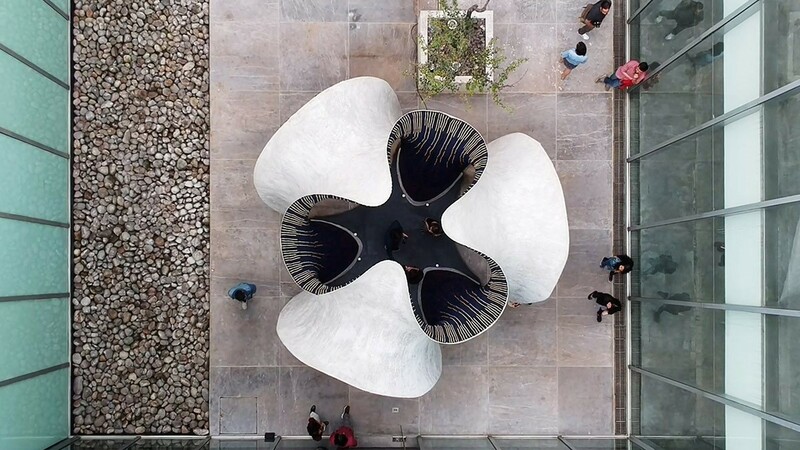 Constructed at the Museo Universitario Arte Contemporáneo (MUAC) in Mexico City, it is part of Zaha Hadid Architects’ first exhibition in Latin America. 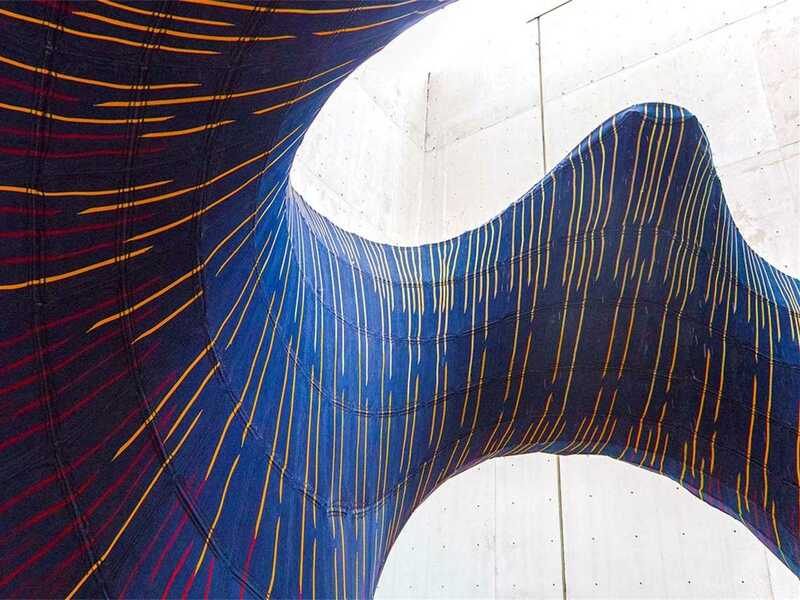 The dazzling concrete form reimagines Candela’s thin concrete structures through the introduction of new computational design methods and innovative formwork technology which were developed in Zurich. 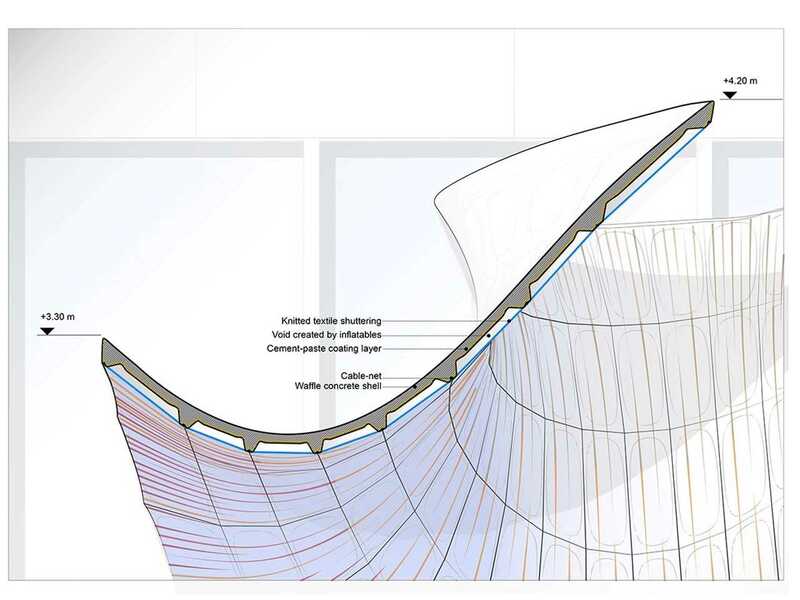 Philippe Block, Professor at the Swiss Federal Institute of Technology (ETH Zurich) and member of the Academic Committee of the LafargeHolcim Foundation, introduced the formwork technology known as "KnitCrete" and worked together with Holcim Mexico’s Center of Technological Innovation for Construction (CiTeC) that developed a concrete mix to realize the expressive shell structure. 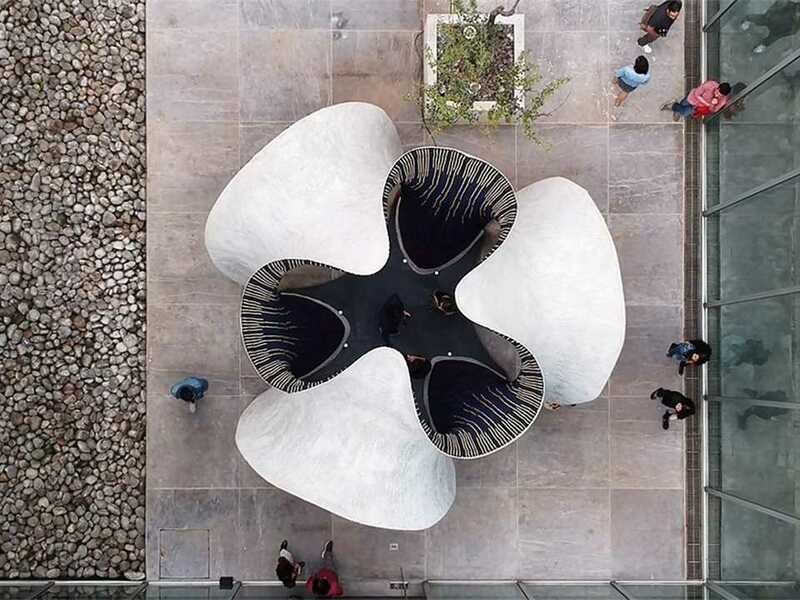 The main challenge of the Mexican Group company of LafargeHolcim was to design a concrete that allowed for layers to be placed by hand, with sustained workability and able to be mixed on-site – all requirements of the construction process. 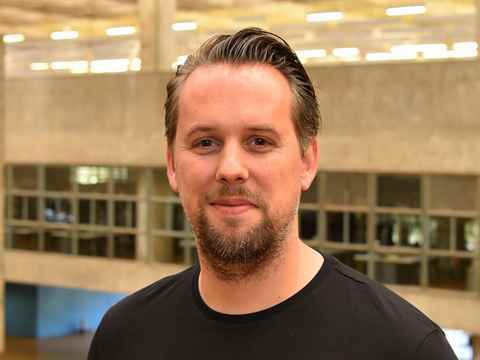 “The collaboration with CiTeC was exceptional: The concrete engineers under the lead of Jose Alfredo Rodriguez understood all requirements and delivered the innovative concrete in the quality required,” noted Philippe Block. 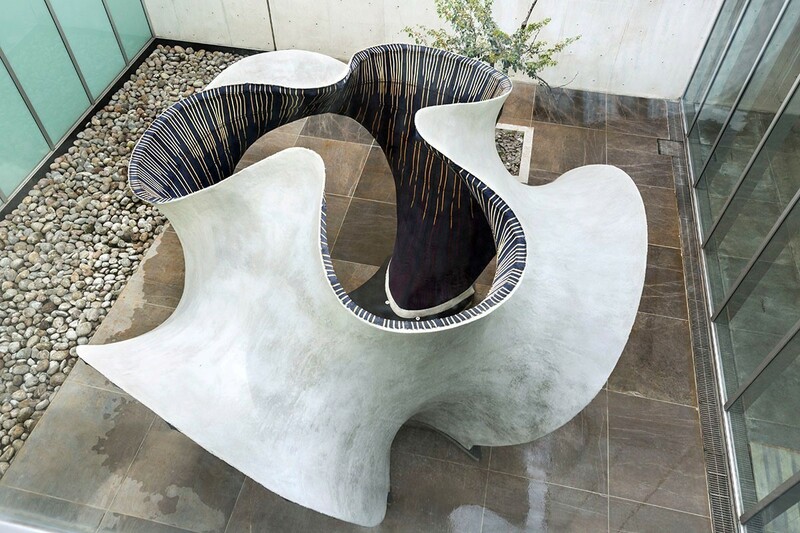 Félix Candela’s shell structures relied on combining hyperbolic paraboloid surfaces (similar to the shape of a Pringles potato chip) to produce reusable formworks made of straight wooden elements. 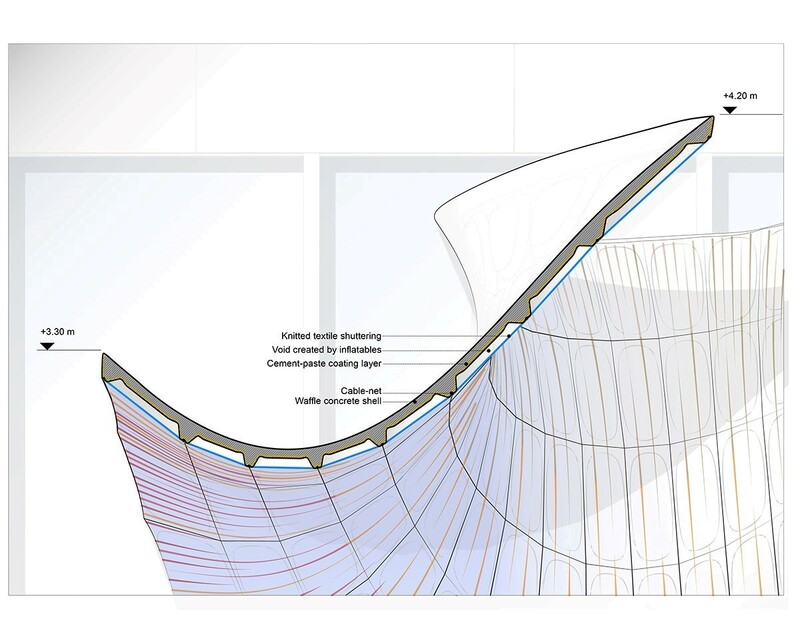 But new technology allows for a much wider range of complex, curved geometries. 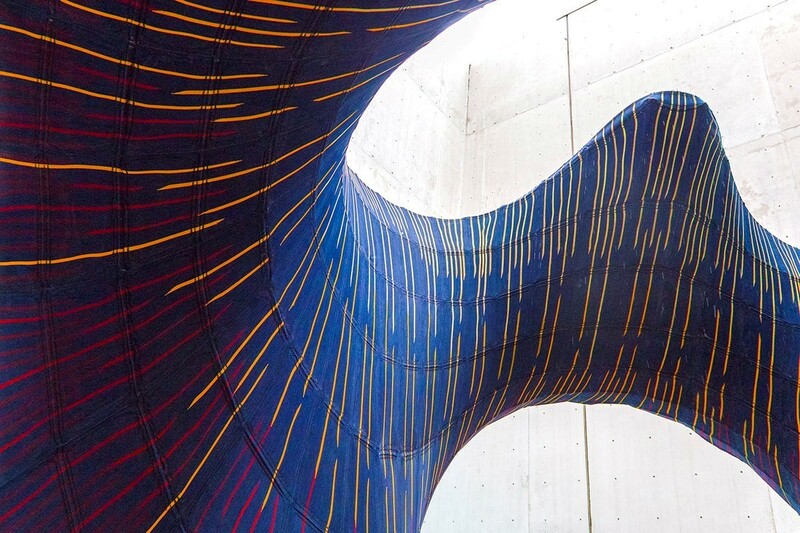 With the cable-net and fabric formwork system, expressive, free form concrete surfaces can now be constructed efficiently, without the need for complicated, wasteful and time-consuming molds. 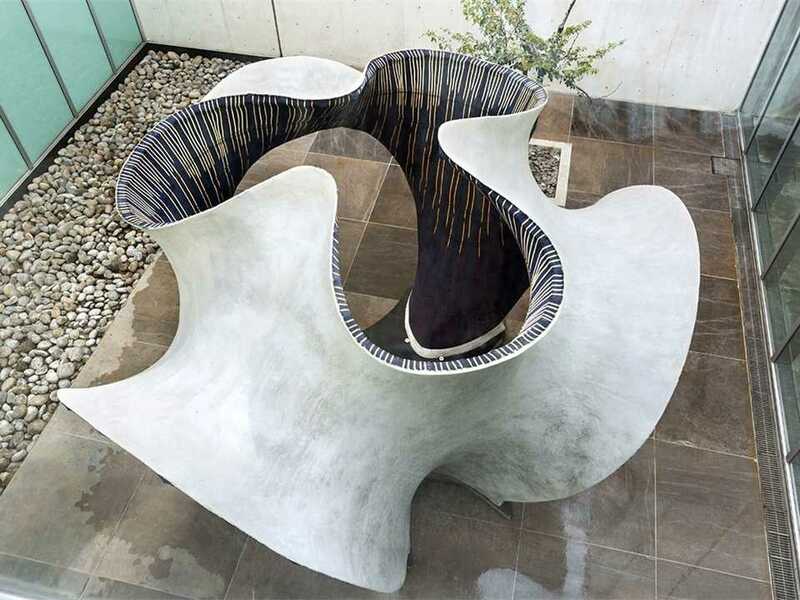 In Mexico City, KnitCandela’s thin, double-curved concrete shell with a surface area of almost 50 square meters and weighing more than 5 tons was applied onto a knitted formwork shuttering of only 55 kilograms. 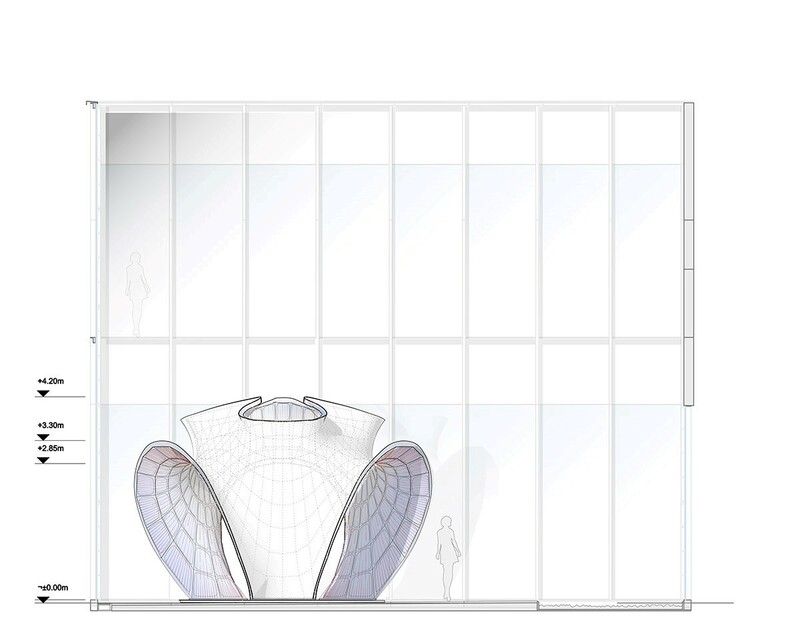 The concrete of the KnitCandela shell is manufactured with Holcim cement, acrylic resins, and admixtures to achieve the adherence requirements. To replace conventional steel reinforcement and minimize cracks on the concrete element, macro synthetic fibers with a rough finish and polypropylene fibers are added. 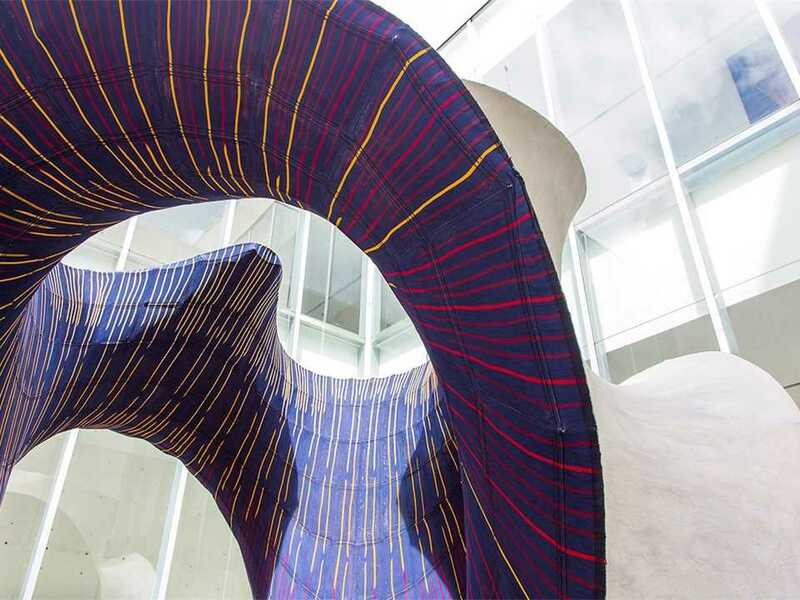 Designed for a tight construction schedule, restricted space and minimal budget, KnitCandela demonstrates the rapid evolution and adaptation of digital design and fabrication to the challenges faced by the construction industry. 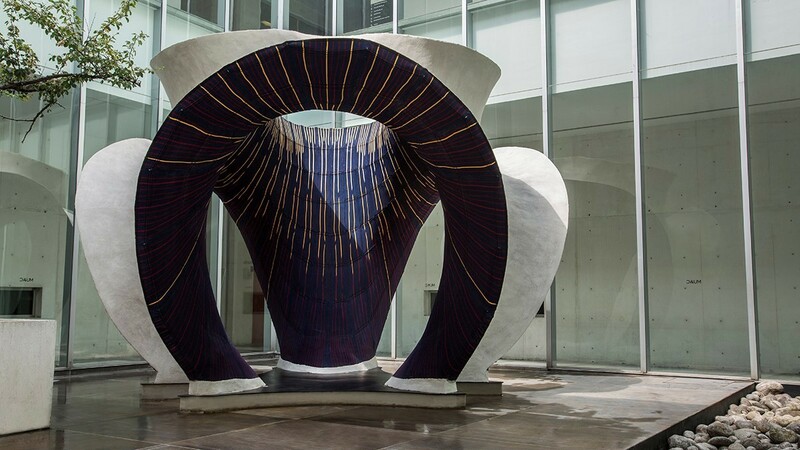 The structure’s overall form was inspired by colorful and fluid forms of traditional Jalisco dresses of Mexico – but the construction process and advanced materials enable complex and free-form geometries of contemporary architecture that are highly optimized in terms of material consumption, energy efficiency, and usability. KnitCandela can be experienced at the Museo Universitario Arte Contemporáneo (MUAC) in Mexico City until March 2019.